One of the many, awesome mechanisms of our skin is to adapt and adjust to its environment. It is no coincidence that during warmer months our skin tends to produce more oil, giving us that greasy/sweaty look we all dread. While during winter months, skin tends to lose its moisture, leading to dry, flakey, and perhaps reddish, itchy patches. It may seem counterintuitive, but more sebum is produced during summer months to protect skin from sun damage, pollution, and dehydration, among other things. On the other hand, ambient air generally becomes more dry in winter, making it more difficult for your body to attract moisture and humidity from its surroundings. Advertising does a good job of leading us to believe that oil is bad for our skin and that the solution is instead to strip it of its protective layer. But, what that actually does is signal to skin that it needs to produce oil in overdrive as a defense mechanism. So, as I discuss in another post about the benefits of oily skin, its time to embrace the skin’s natural oils and adopt facial care routines that work with this beautiful mechanism, not against it. Instead of overemphasizing how amazing and fabulous my skin has been since adopting these routines, I’ll simply say that my skin is visibly healthier, breakout-free, and I now consider myself to be in the ‘normal’ skin category, which is all a girl really wants. 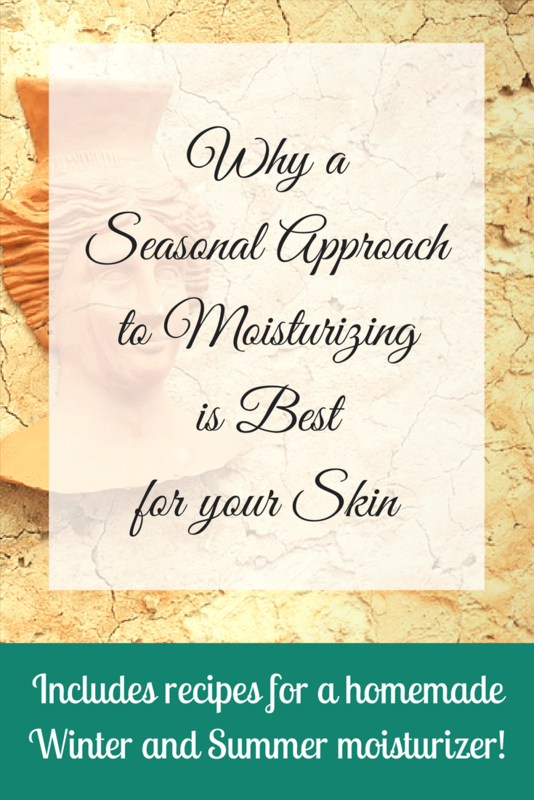 Though the ingredient lists for both my Winter and Summer moisturizers are very (VERY) short, I have decided to break these up into two separate posts: Winter Moisturizer and Summer Moisturizer so that you can choose to read the posts you prefer.